Sam Twyford-Moore is the author of The Rapids: Ways of Looking at Mania is published by NewSouth Books. He is the founding host of The Rereaders, a fortnightly literary and cultural podcast and a former Festival Director and CEO of the Emerging Writers’ Festival. Bright, warm and charmingly discursive, Sam examines his own mania by the bright lights of pop culture. He's witty and honest but judiciously wary of our culture of confession. 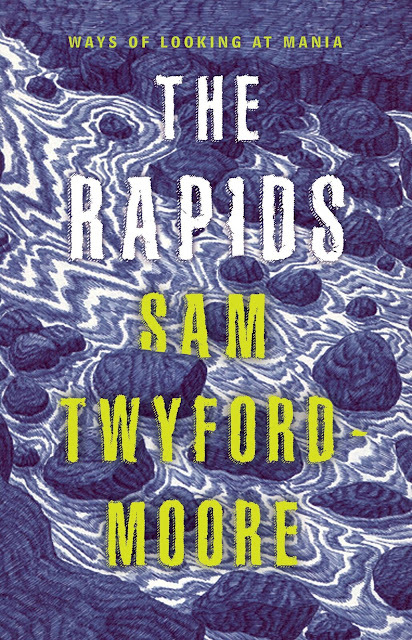 The Rapids is beautifully written: brimming with humour, empathy, pathos and heart. This book is an earnest, generous, and important contribution to ongoing global dialogue around mental health. The Rapids is a remarkable book – intelligent, empathic and ethical. It offers a complex and astute account of mania and depression both as a cultural phenomenon and a personal experience, and is unafraid of looking at difficult and dark emotions and events. It is by turns heart-breaking and hilarious, cerebral and cheeky, and an incredibly important work. The Rapids is an important cultural history of a mental illness misunderstood and often misrepresented, and an incredibly necessary book about mental health. It is also a compelling work of cultural criticism, with a particularly pioneering view of celebrity culture in a digital age. The Rapids is the story of a writer making sense of mania, the world, and mania within the world. It is innovative, intelligent and sensitive; an important work of criticism, and a critical work of importance. The Rapids is available here.